Rehearsals are every Wednesday from 7:30 to 9:30 PM at the Nepean Creative Arts Centre. We can be found at 35 Stafford Rd., Nepean. 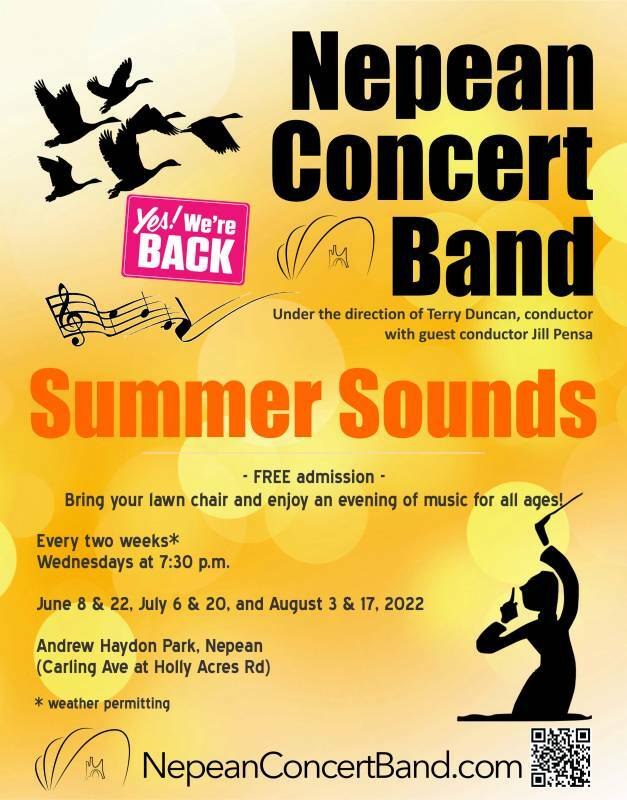 In addition to bi-weekly concerts in the summer at Andrew Haydon Park (Carling Ave. at Holly Acres Road), the Nepean Concert Band plays numerous other community concerts throughout the year. If you play an instrument, please ask about playing it with us. If not, please come along and listen! The Nepean Concert Band would like to acknowledge the support of the Ontario Trillium Foundation. We rejuvenated our percussion section by purchasing new instruments, all thanks to the generosity of the Ontario Trillium Foundation.